It’s officially spring. 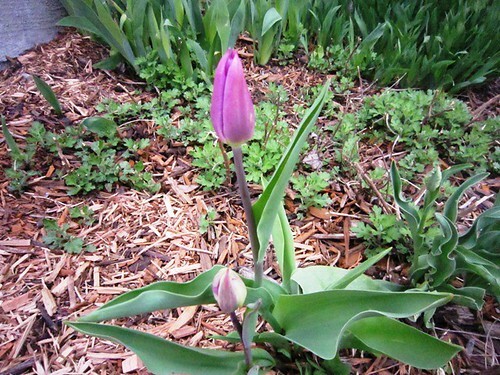 Tulips are blooming in my front yard, and tulip-shaped sugar cookies are baking in my kitchen. Seeing blooming tulips reminds me that in a few days it will be Tulip Time in Pella. Pella is a small town in southern Iowa famous for its Dutch heritage and its annual tulip festival held in May. Pella also is the home of my alma mater, Central College. I learned many important things in college, like 1) how to diagram a sentence, 2) Dutch letters are a pastry and 3) Dutch dancing is great fun. 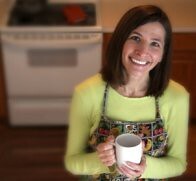 I also learned that I like to write, eat pastries and am extremely uncoordinated. My roommate and I signed up to dance in the tulip festival our freshman year. Several weeks before the big performance, we took dancing classes at the high school gym. 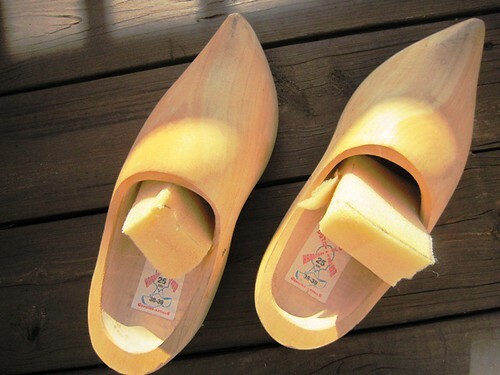 We also bought wooden shoes traditionally worn during the dance. Learning to Dutch dance in wooden shoes is a bit tricky. There were a couple of times I nearly kicked my shoes across the room while we were practicing. Then I learned the secret: Putting sponges in your shoes keeps them on your feet. To see what Dutch dancing looks like, check out this YouTube video from May 2010. It shows Dutch dancers in Pella breaking the Guinness Book of World Records for the most people dancing in wooden shoes at the same time. Kick up your heels once in a while — and dance. If your dancing shoes don’t fit, put sponges in them. 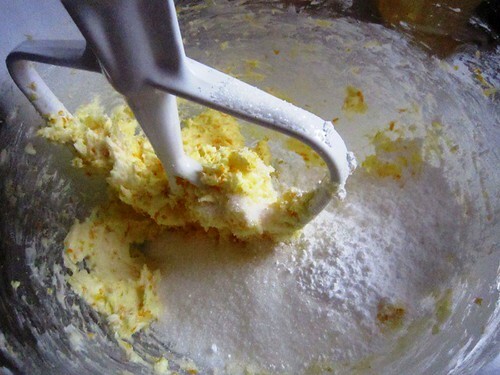 I found this Citrus Sugar Cookie recipe years ago on Epicurious, and I have made it many times since. It is perfect for cut outs, and I usually use this recipe at Christmas to make cookies in the shape of trees, candy canes and snowmen. Then I found a tulip-shaped cookie cutter and decided to make them for spring as well. I almost skipped around the kitchen in my wooden shoes while baking them. 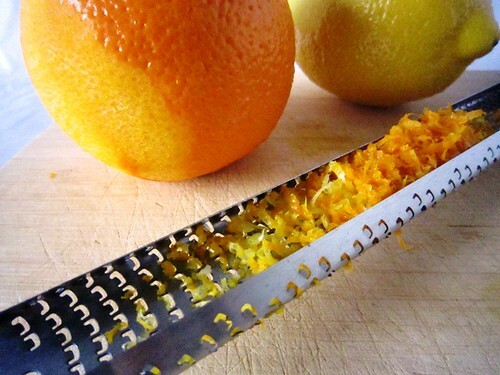 Lemon and orange zest gives these cookies a special kick of citrus flavor. 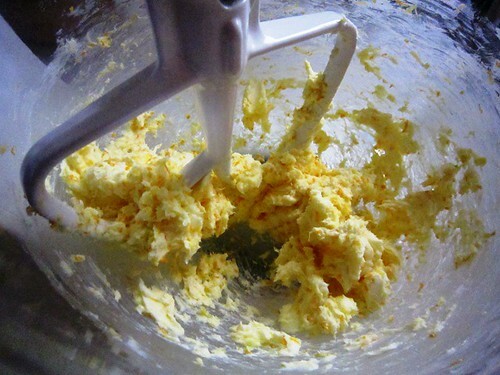 In a stand mixer, blend together the butter and zest. 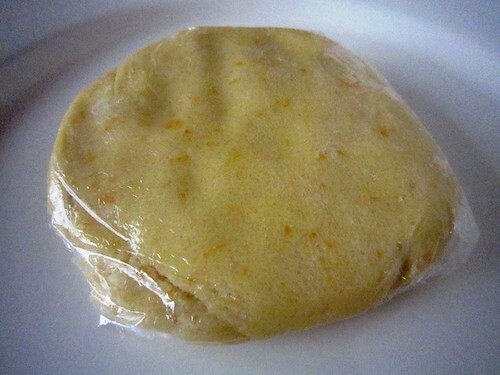 Shape the dough into disks, wrap in saran wrap and refrigerate. 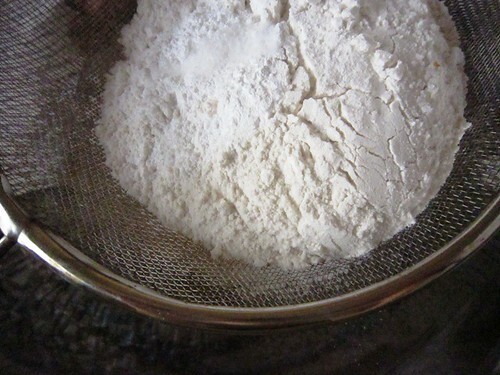 Once the dough is chilled, roll it out and cut into shapes. 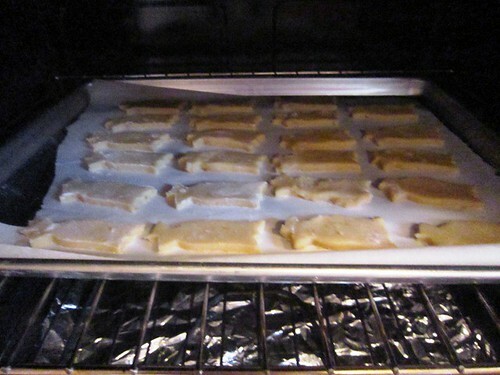 Bake for 15 minutes or until the cookies are golden brown. Cool the cookies on a wire rack while you make the icing. 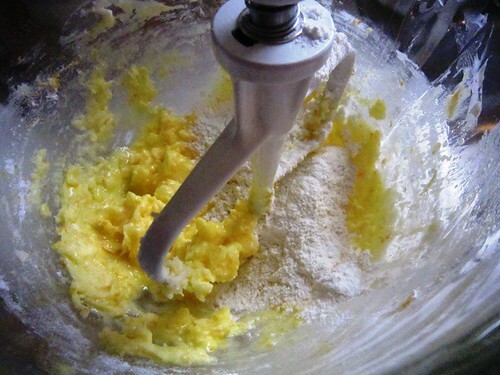 To make the icing, mix together powdered sugar, milk, lemon juice and food colorings. 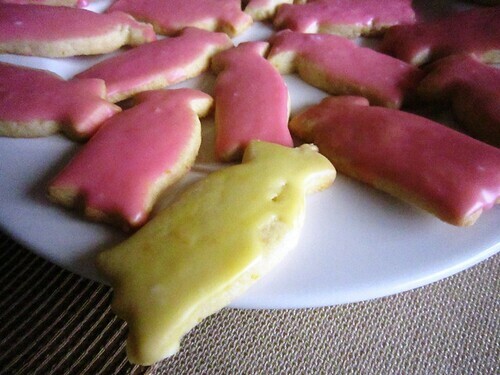 Then dip the cookies in the icing, and lay them on a flat surface until the icing dries. 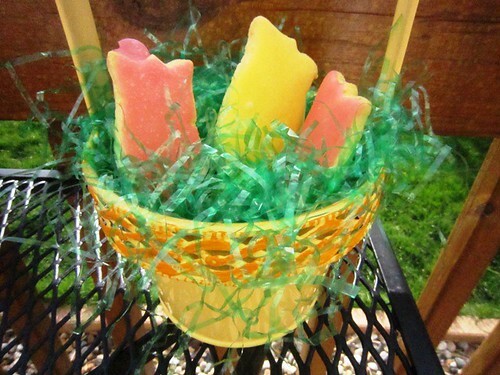 Once the icing dries, you can put them in a cute basket if you like — or you could just eat them. 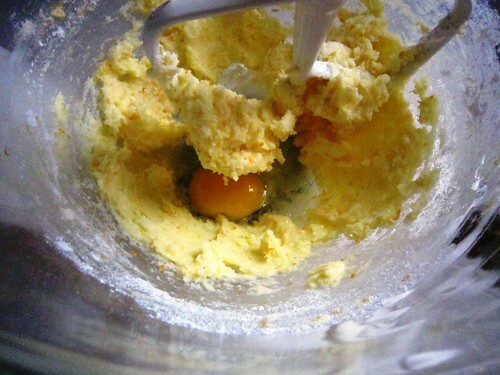 For the complete recipe, see this Citrus Sugar Cookie recipe from Epicurious, which is posted along with a Gingerbread Cookie recipe that is also quite good. 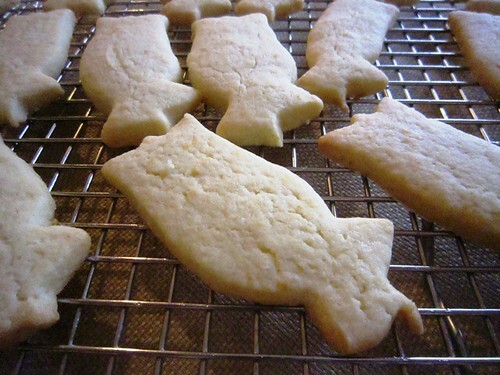 About Baking Different Shapes: These cookies bake quickly, especially if you use smaller shaped cutters. 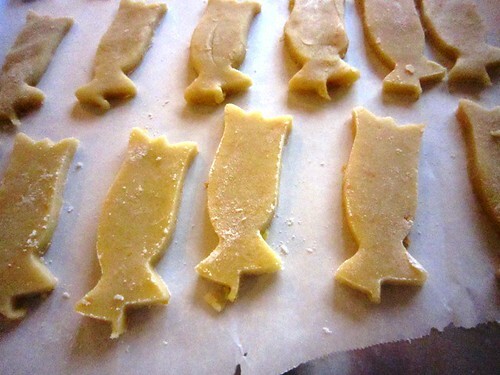 To prevent uneven baking, use the same size cutter for each sheet of cookies you bake. The first time I made these, I made the mistake of mixing candy cane and snowman shapes on the same baking sheet. The candy canes baked much faster since they were skinner than the snowmen. Since then, I always bake my candy canes on one baking sheet and snowmen on another. That way I can pull the candy canes out of the oven a little earlier since they bake faster. 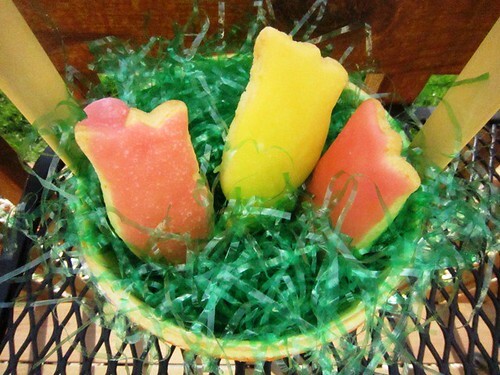 Does your town have any special festivals to celebrate spring? Thanks for finding my blog! Love these cookies! Do you have a GFC (google friend connect) or a email subscribe? If so I couldn’t find it. Please feel free to Follow my the google friend connect! Thanks for visiting. I am so glad you like the blog and want to subscribe. I have a small RSS feed icon in the upper right corner of the blog home page for subscribing. If you use Google Reader, you can also search for Girl Meets Oven and subscribe that way. Let me know if those subscription options don’t work, and I’ll see if I can find another way to set up a subscription, like the Google Friend Connect option you mention. What a lovely idea for Spring. Thanks for the recipe! Glad you liked it. It’s nice to finally see some spring flowers, even if they are in cookie form.